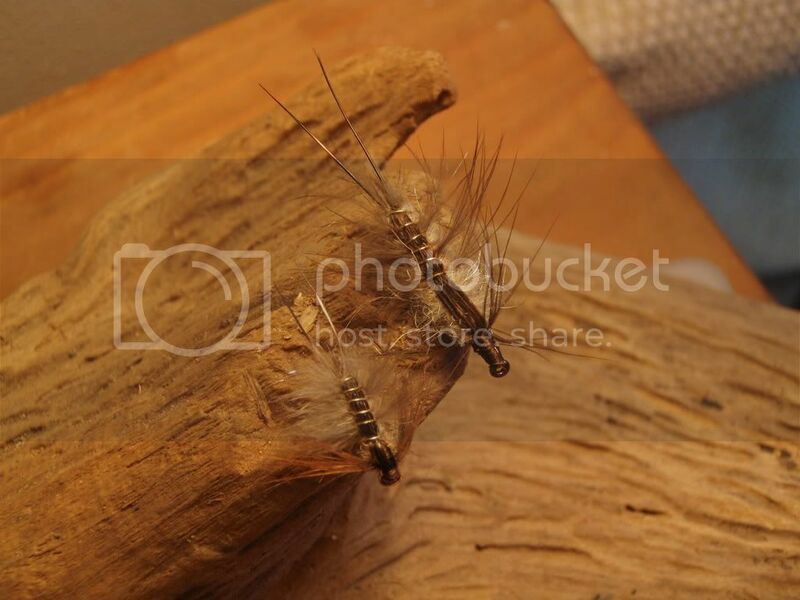 This large nymph pattern is excellent for still water fishing, but don't steer away from fishing it in moving water, especially on the swing! Good looking flies. You are right about fast water and deep sunk nymphs. The problem is detecting the take. I was always told to "fish the dangle" meaning after the swing, just let it hang there a while before starting your retrieve. Works often enough to be worth a try. Great photo of the flies. How about writing a little bit sometime about how you get those great shots? I know what ya mean.....I always let it hang for several seconds or longer even before I toss again. I like to twitch it while its hanging there as well, and try to get it to appear as though its emerging, or breaking the surface anyways. I'll come up with something about taking shots of flies. It can be difficult for sure!